Controversial Ghanaian pastor and founder of International God’s Way Church, Bishop Daniel Obinim, seen making an attempt to fly to heaven. This is why they call him ‘Angel’ Bishop Daniel Obinim. 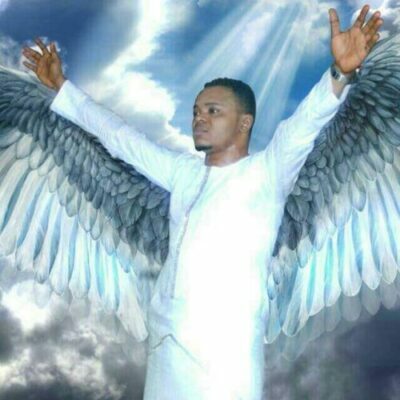 The Founder and Leader of the International Godsway Church, Bishop Daniel Obinim, in a latest video circulating on social media is seen making an attempt to fly to heaven. But moments after, Obinim was allegedly stopped by a group of members who didn’t want him to depart from the church.